Again, I neglected to take pictures because I was too impatient to eat. 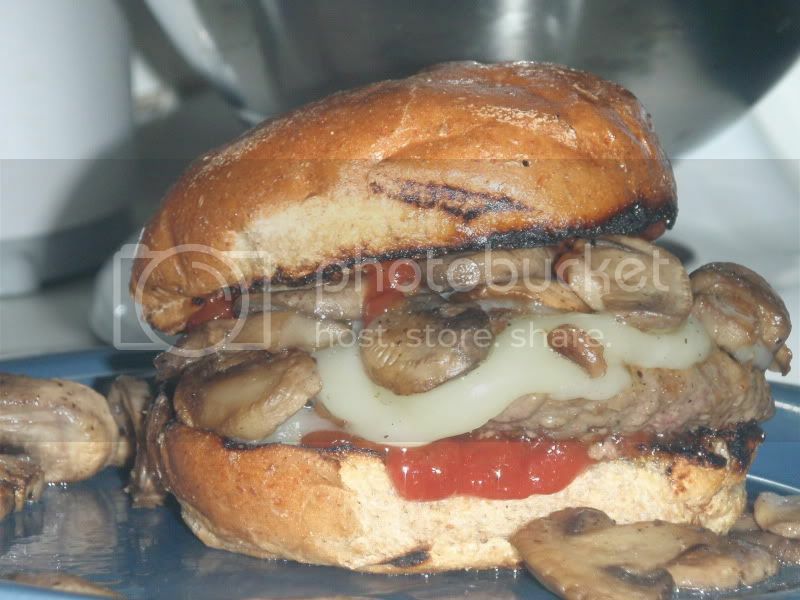 This burger is as simple as can be since I used pre-formed hamburger patties from Trader Joe. Updated 3/12/10 to add pictures. Preheat grill or grill pan until screaming hot while you prepare the veggies. Melt 1-2 tbs of butter in a medium skill coated with olive oil. Saute mushrooms and green pepper until mushrooms and lost much of their moisture and are beginning to brown. Green peppers should be tender. Sprinkle with salt and pepper. Set aside. Sprinkle burgers with salt and pepper (or grill seasoning of choice). Grill burgers about 2-4 minutes per side, depending on degree of doneness desired. The pre-formed burgers from Trader Joe's were a little more than 1/2 inch thick, so my burger was cooked to medium in less than 5 minutes. 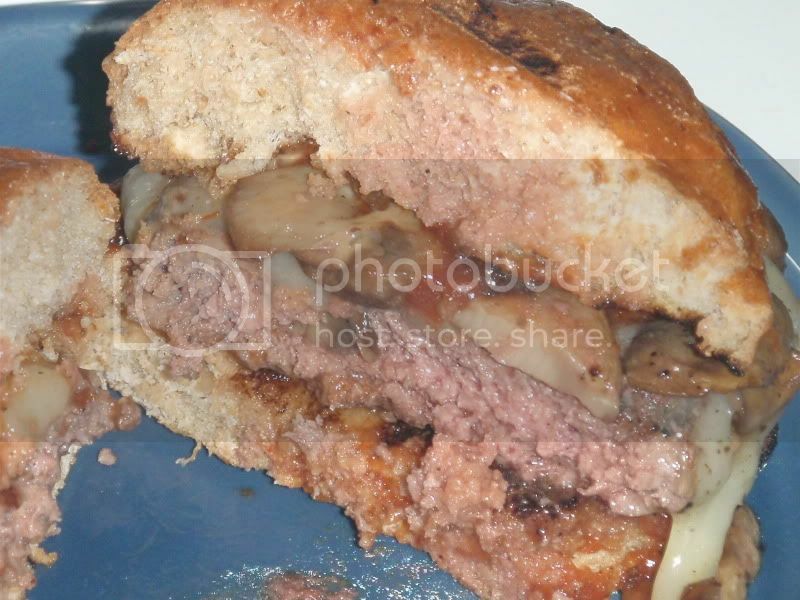 Add cheese to burger, if desired, in last few minutes of cooking. 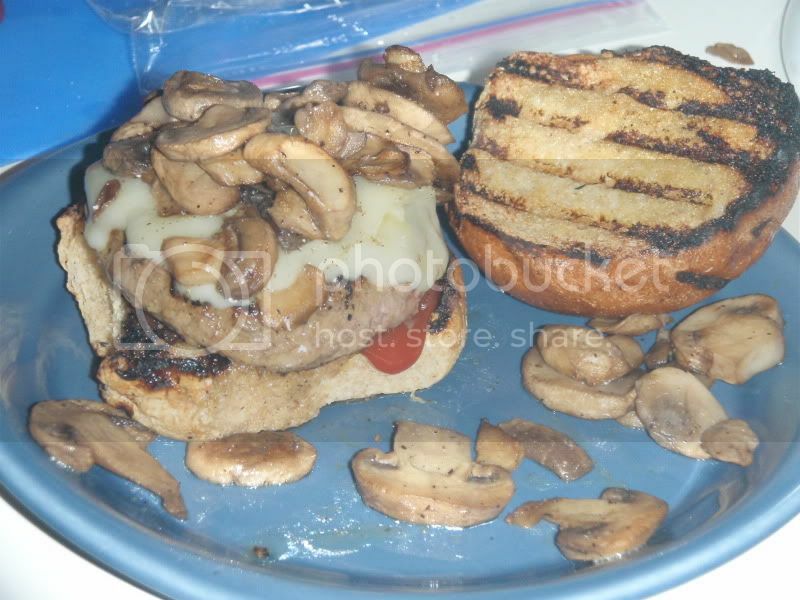 Toast buns in skillet used for veggies or on grill.